Danny Galyen is Director of Bands and Associate Professor of Music at UNI. He conducts the Wind Ensemble, provides administrative and artistic direction for the eight ensembles in the band area, and teaches graduate and undergraduate courses in conducting, wind literature, and music education. Prior to his appointment as Director of Bands he served as director of the Panther Marching Band and conductor of the Symphonic Band. Dr. Galyen is a frequent guest conductor, most recently appearing with the L’Orchestra d’Harmonie du Conservaroire d’Aulnay sous Bois in Paris, France and the French National Police Band. He has conducted, adjudicated, and studied in Ireland, Holland, Italy, Iceland, Norway, Paris, and London. A champion of new music, he has commissioned works by James David, Andrew Boysen, and Nebojsa Macura. 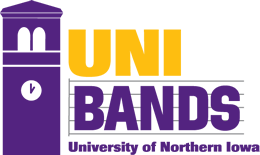 He has led the UNI Wind Ensemble and Symphonic Band in collaborations with numerous guest composers and performers, including Michael Gandolfi, Michael Daugherty, Libby Larsen, Samuel Adler, Dan Bukvich, and Dan Welcher. Dr. Galyen is also the conductor and co-founder of the UNI Faculty L'Histoire Septet, a professional chamber ensemble that performs contemporary chamber music. Under his direction the Panther Marching Band grew from 156 to 330 members. In 2015 he led the marching band on it's first international trip, performing for the London New Year's Day Parade. The following year he served as an adjudicator for the New Year's Day Parade and Concert Festival in London. In 2017 the band performed for the New Year's Day Parade in Rome, Italy at the invitation of the Rome City Council. In 2015 he received the John Baker award from the School of Music faculty for "collegiality, teaching, and scholarly/creative activity." He was awarded the Outstanding Teaching Award for the College of Humanities and Fine Arts in 2010. In 2005, he was the recipient of the David Wilmot Award for excellence in music education at the University of Florida. 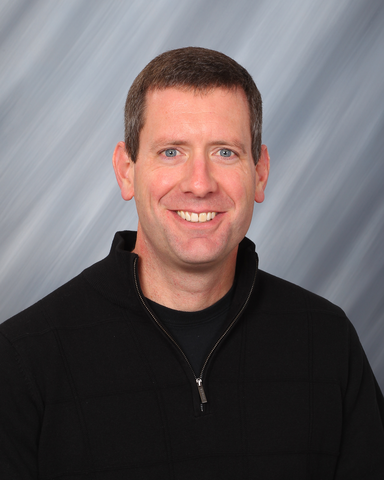 Dr. Galyen has published articles in The WASBE Journal, The Instrumentalist, Research Perspectives in Music Education, Update: Applications of Research in Music Education, The Journal of String Research, The Music Educators Journal, and the Iowa Bandmasters Association Magazine. He also presents sessions at music conferences nationwide. Originally from Richmond, Virginia, Dr. Galyen holds a B.A. in music education from Virginia Tech, a Masters degree in music education with a wind conducting emphasis from Syracuse University, and a Ph.D. in music education with a wind conducting concentration from the University of Florida. Prior to his appointment at UNI, he was Director of Bands and Instrumental Music at Bridgewater College (Virginia), where he conducted the Symphonic Band and taught courses in instrumental conducting and music education. From 1995-2001 he was the Director of Bands at Northside High School in Roanoke, Virginia. Under his leadership the band program more than doubled in size, and his bands received consistent Superior ratings at state and local festivals. Dr. Galyen holds memberships in The Music Educators National Conference, College Band Directors National Association, the College Music Society, and Pi Kappa Lambda Music Honor Society. He is an honorary member of Kappa Kappa Psi Honorary Band Fraternity, Tau Beta Sigma Honorary Band Sorority, and Phi Mu Alpha Sinfonia Fraternity. Justin J. Mertz is Associate Director of Bands at UNI. He directs the Panther Marching Band, conducts the Symphonic Band, and teaches courses in music education. Prior to his appointment at UNI, he was Assistant Director of Bands and Director of Athletic Bands at Syracuse University, where he was co-conductor of the Wind Ensemble and conductor of the Symphony Band and Concert Band. 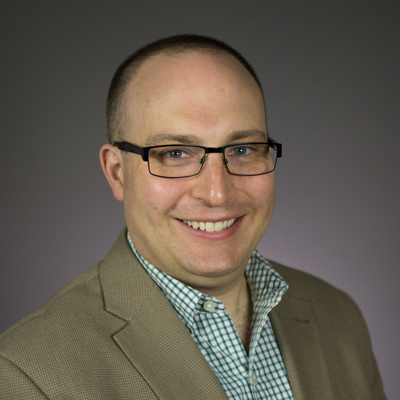 A native of Massapequa, New York, he has held teaching positions in the Alief Independent School District in Houston, Texas, and the Westmoreland Central School District in Westmoreland, New York. Under his direction, the Syracuse University Marching Band has performed for numerous postseason bowl games, NFL games, CFL games, the Heisman Trophy Gala in New York City, and Super Bowl XLVIII. Additionally, he writes drill for competitive high school marching bands in the Northeast and Midwest. He holds Bachelor’s and Master’s degrees from Syracuse University and is currently pursuing the Doctor of Musical Arts degree in Music Education at Boston University. Professor Mertz has contributed to the educational series Teaching Music Through Performance in Band, produced and conducted on a number of SU Wind Ensemble recordings for Mark Records, and recently conducted a new music reading session for music educators in the Central New York region. His professional memberships include the College Band Directors National Association and the New York State School Music Association. Professor Mertz is an active guest conductor, clinician, and adjudicator throughout the United States, where he works with students at all levels. 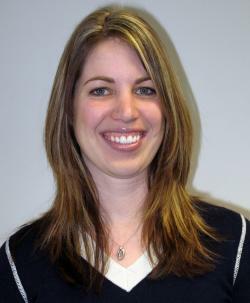 Susie Grover joined the School of Music staff in 2007 as Secretary in the Gallagher-Bluedorn Performing Arts Center. Born and raised in Cedar Falls, Iowa, Susie earned her Bachelor of Arts degree from UNI in Anthropology and Women's Studies in 1999. After earning her degree, Susie traveled to Texas, North Carolina, Florida and other locations throughout the United States on archeological digs and in pursuit of professional development. A lifelong music lover, Susie has also independently studied piano and percussion. She currently resides in Cedar Falls with her husband, son and step-daughter.